You and your family will be delighted with the number of unique things to do in Guanacaste no matter if you are staying in Liberia, Playa Hermosa or the Playa Flamingo area. If you are staying in Tamarindo, Guanacaste, see activities in Tamarindo You can visit interesting places like Rincon de la Vieja National Park, Palo Verde National Park and even take a day trip to Nicaragua. Fun filled activities range from thrilling zipline courses to horseback riding to snorkeling to an adrenaline filled ATV drive. 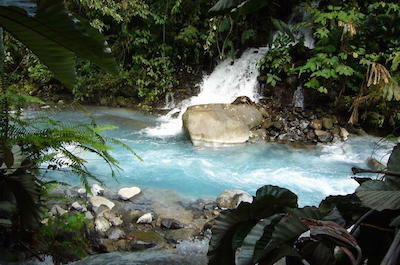 Other excursions offer you a chance to go white water rafting down the Blue River or tubing in the Colorado Canyon and you can view surreal waterfalls like Borinquen. There are numerous adventure parks like Buena Vista, Diamante Eco Park and children will be pleased with Dino Park. You can marvel at smoking volcanoes and sit in a natural geothermal hot spring or a mineral rich volcanic mud bath to help you relax. One of the most adventurous things to do in Guanacaste that includes several activities packed into one excursion is to try the Vida Aventura Park in Guanacaste: Zipline, Horseback Ride and Hot Springs Tour. Your full day begins with complimentary Guanacaste area hotel pick-up (if option selected) or you can meet your guide at Vida Adventura Park. Once at the park you will gear up for a thrilling seven cable zipline adventure that will have your soaring through the canopy and over a canyon while you see incredible wildlife, huge trees as well as plenty of flora. 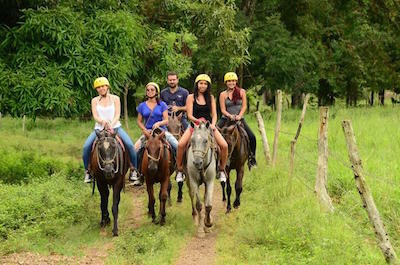 Now back on the ground you will proceed to be outfitted with a horse that suits your riding experience before setting off on your next journey which includes a trail ride through the tropical forest where you will an opportunity to view Rincon de la Vieja Volcano and Miravalles Crater. You will be thrilled with the wildlife sightings while you learn about the local plants from your trail guide. The next portion of the excursion is a free lunch and afterwards you will put on your bathing suit and relax in a mineral rich volcanic mud bath before letting the mud bake in the sun. Once your body is rinsed off you will feel like new as you travel back to your Guanacaste hotel on your own or by way of complimentary service. 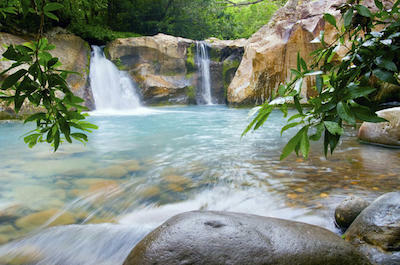 Departs from major hotels in Guanacaste. One of the most fascinating things to do in Guanacaste that will take you to another country for the day is take the Nicaragua Day Trip: Catarina, Masaya Volcano and Granada from Guanacaste Tour. Your 16-hour journey begins with complimentary pick-up service at your Guanacaste hotel where you will meet your expert tour guide who will inform you of all the interesting places that you will visit during your excursion. After stopping for breakfast in Liberia, you will continue to the Nicaragua border where your tour guide will help you with passage across the border. You can relax and watch the scenery until you reach Catarina Viewpoint which will give you a perfect vantage point of Apoyo Lagoon and Lake Nicaragua as well as the Mombacho Volcano. 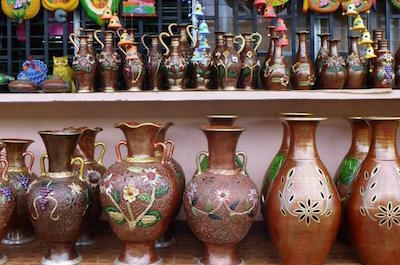 From here you are transported to the nearby town of Catarina where you can browse the local artisans market for unique hand crafted goods. Your next stop will be at the 1524 colonial town of Granada where you will be treated to the historic architecture of the city as you wander the streets by foot or by horse drawn carriage (additional charge). Now you can relax and rest while you indulge in a complimentary Nicaragua style lunch in this Spanish colonial town. Next you will visit Masaya Volcano National Park which features one of the most active volcanoes in the world. Now you can relax on the way home before you are dropped-off at your selected Guanacaste area hotel. When you want to view one of the more active volcanoes in the world and hike in the surrounding rainforest then the best thing to do in Guanacaste is to book the Arenal Volcano and Hot Springs Day Trip from Guanacaste Tour. Your full-day adventure starts with complimentary pick-up service from your Guanacaste area hotel where you will meet your expert guide who will explain all the interesting places you will visit and view. During your ride to Arenal Volcano National Park you can enjoy a free breakfast before arriving to this geologic wonderland of smoke, ash and lava. Once at the park you will embark on an intriguing hike through older lava fields continuing to learn about the seismic and geologic uniqueness of the area. After your hike you will be pleased with soaking in one of the 25 family-friendly geothermal pools which include a little bit of for everyone including waterfall pools, a swim-up bar and a kid’s area with waterslides as well as a splash zone. When you want to reenergize your body you can indulge in a complimentary lunch at the onsite restaurant. Your excursion concludes with drop-off service at your Guanacaste hotel. 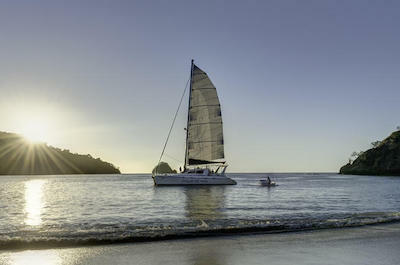 One of the more relaxing things to do in Guanacaste when you are in the Playa Hermosa area is to try a Cruise Tour. There are a wide variety of excursions for you to choose from that will have you sailing on the Pacific Ocean while you relax on the deck of a luxury catamaran. You will be delighted with the views of the natural landscape from sea as well as the incredible marine life from dolphins to turtles to sharks to whales that you can watch play in their natural habitat of the Pacific Ocean. Many of the tours include exciting add-on options and you can choose from a party style atmosphere to a sunset sail where you can watch the sky turn into a plethora of pastel colors. If you want to see a different aspect of the natural surroundings while you are in Playa Flamingo then a great thing to do in Guanacaste is to take a Cruise Tour. These excursions will have you basking in the sun aboard a luxury catamaran with an open bar while you view the gorgeous tropical landscape. Other options include watching a fantastic sunset as the blue skies turn into a canvas of pastel colors. You will learn about the natural eco-system of the Pacific Ocean as your captain does all the work while you lounge on the deck. Added bonuses on these excursions include watching numerous species of marine life like dolphins, sharks and even whales play in their natural environment. 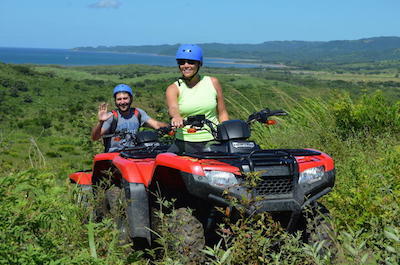 One of the most adrenaline filled things to do in Guanacaste when you are in the Playa Hermosa area is to go on an ATV Tour. There are several excursions that are perfect for all driving skills that will have you forging rivers, driving through dense jungle and along the pristine beaches of Papagayo Gulf such as Playa Brasilito. You will be delighted watching hundreds of animal species in their natural habitat while you drive along existing trails that take you through green pastures, over rocky hills and don’t forget to watch for smoke plumes from a variety of distant volcanoes. 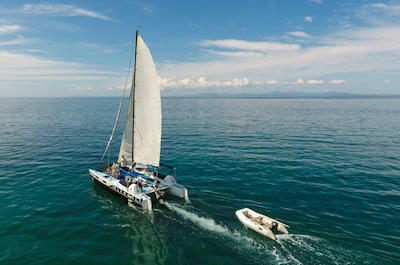 Other exciting add-on options include a surf lesson, a catamaran sail and you can even visit Turubari Adventure Park. 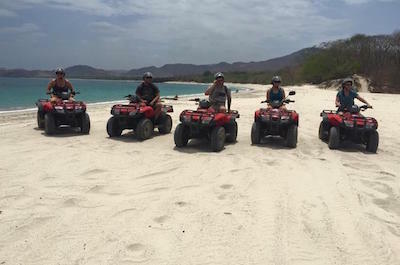 When you are ready for an adrenaline filled adventure while you are staying in the Playa Flamingo area, then a great thing to do in Guanacaste is to try an ATV Tour. There are a wide variety of excursions for you to choose that will have you navigating through the lush jungle countryside crossing rivers and driving up hilly areas where you will find panoramic views of the area. Other tour options will have you racing along pristine beaches near Playa Mina or Playa Cochal where you can even add a snorkeling trip. The amazing wildlife you will view while you are navigating through the thick jungle areas will absolutely leave you with lasting memories. If you are searching for a unique adventure while staying in the Liberia area then an ideal thing to do in Guanacaste is to plan on taking an ATV Tour. You will be thrilled driving a traditional ATV or a custom made off-road buggy through the beautiful jungle countryside. There are opportunities to drive along pristine beaches along the Papagayo Gulf as well as navigating to the top of El Chaguite where you will have breathtaking views of the surrounding environment. These excursions are perfect for all types of skilled drivers from novices to expert and you can be assured of watching hundreds of animals in their natural habitat as you cross creeks, beaches and the hilly jungle countryside. 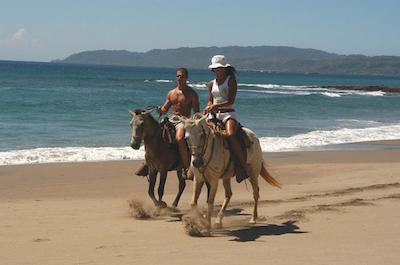 If you are searching for a great thing to do in Guanacaste when you are staying in Playa Hermosa, then you should think about taking the family on Horseback Riding Tour. You will be delighted with riding through the jungle landscape while you watch hundreds of animal species play in their natural environment. These excursions are perfect for all skill levels of riders from novice to expert and your professional trail guide will outfit everyone with an appropriate horse to match their personality. You can take a leisurely ride while watching the smoke plumes from Rincon de la Vieja Volcano and you will be amazed at the lush green landscape that surrounds you. 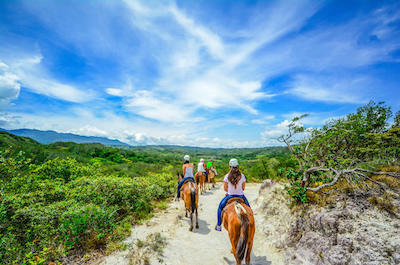 When you want to take the family on an adventure that will leave lasting memories while you are in the Playa Flamingo area the best things to do in Guanacaste is to go on a Horseback Riding Tour. These excursions are ideal for all age groups and your expert trail guide will match everyone with a horse that fits their skill level of horseback riding whether they are a beginner or a seasoned rider. You have a wide variety of places to visit such as the countryside surrounding Rincon de la Vieja Volcano or you can gallop along a pristine beach while you watch the waves of the Pacific Ocean roll into shore. The wildlife you will see in their natural habitat is a once-in-a-lifetime opportunity for everyone. One of the most popular things to do in Guanacaste when you are staying in Liberia is to take the family on a Horseback Riding Tour. Your family will be delighted with these excursions that will bring the sense of adventure everyone. There are tours for every skill level of horseback riders from novice to expert and your guides will outfit your family with the perfect horses so that everyone enjoys a fun filled ride through the jungle countryside. You can visit places such as the Diamante Eco Adventure Park and the Buena Vista Adventure Park where you will see incredible wildlife in their natural habitat. Added bonuses on some excursions include a zipline course, a waterslide and you will be delighted with a soothing soak in a mud bath. One of the best things to do in Guanacaste when you are staying the Playa Hermosa area for families and thrill seekers is to try Zipline Tour. The whole family will enjoy a thrilling adrenaline filled day of flying through the canopy while viewing the lush tropical landscape from a wonderful vantage that will leave you breathless. You can choose from several different courses and cable systems that will have you racing through the canopy at high speeds. There are opportunities in Rincon de la Vieja National Park, the Colorado Canyon and around the Congo Trail that will leave you speechless as you soar through the sky with the greatest of ease. If you are seeking a fun filled day full of adrenaline then the ideal thing to do in Guanacaste from Playa Flamingo is to take a Zipline Tour. 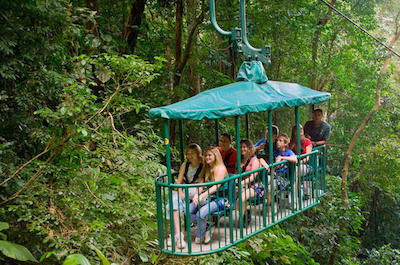 You will be thrilled as you soar through the jungle canopy viewing hundreds of animals and plants in their native environment. There are opportunities for excursions that will take you over waterfalls and canyons while you fly like Superman through the air on one of several courses and sable systems that are perfect for families and adrenaline seekers. Soar through the sky at places such as Rincon de la Vieja National Park where you can see a smoking volcano while you reach high speeds that are sure to make your heart rate rise. 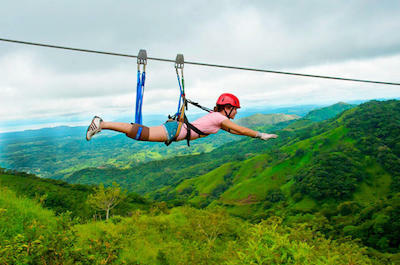 When you want to soar through the canopy at high speeds then the best thing to do in Guanacaste from Liberia is to go on a thrilling Zipline Tour. These excursions will have your heart thumping at a high rate and your adrenaline flowing fast. You will be able to choose from several different courses and cable systems that will allow you to view the incredible jungle landscape from a completely different vantage point. There are courses that have up to 25 different cable systems that will have you flying over numerous waterfalls in areas such as Rincon de la Vieja National Park, the Tizate River, the Blue River and Buena Vista Adventure Park is perfect for families. 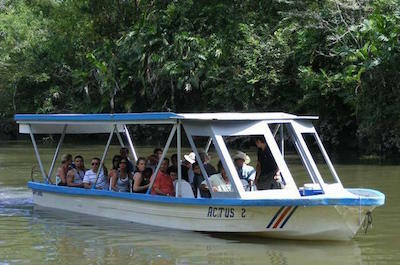 Eco Tours are one of the most popular things to do in Guanacaste for families that are visiting the Playa Hermosa area. You will be delighted with the interesting wildlife and natural beauty you will experience while you visit places such as Rincon de la Vieja National Park, Dino Park and Palo Verde National Park. These excursions include a number of various outdoor activities that include tubing down the Canyon River, taking a slow boat ride on the Tempisque River, chasing life size dinosaurs and soaring through the canopy on a thrilling zipline course. Other added bonuses can be a horseback ride through the jungle or simply relaxing in a mud bath in one of the many natural geothermal hot springs in the area. If you are staying in the Playa Flamingo area and want to experience one of the best things to do in Guanacaste then you should book an exciting Eco Tour. 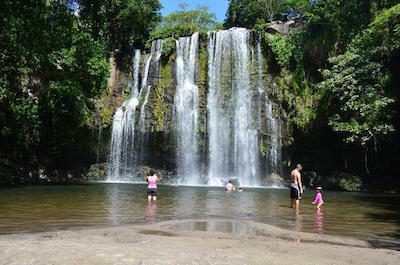 Families will be pleased with the variety of activities as well as places included in these excursions that range from a boat ride down the Tempisque River in Palo Verde National Park to tubing the Canyon River near Rincon de la Vieja Volcano to viewing the Miravelles Crater and numerous waterfalls to life size dinosaurs at Dino Park. Some tours include stops at adrenaline filled zipline courses as well as soothing mud baths in a natural geothermal hot spring and you can go horseback riding through the jungle landscape while you watch hundreds of wild animals play in their own natural environment. One of the most family-friendly things to do in Guanacaste when you are staying in Liberia is to take a stunning Eco Tours. You will be delighted with the beautiful places you visit such as Rincon de la Vieja National Park, Palo Verde National Park and children especially like Dino Park where life size dinosaurs roam the grounds. While on these excursions you can except to see smoking volcanoes, hundreds of animal species in their natural habitat and breathtaking waterfalls along the Blue River. Other adventures included in some of the tours are an exhilarating zipline ride, water tubing down natural chutes of water and a relaxing mud bath at one of the many natural geothermal hot springs. One of the best things to do in Guanacaste for families when you are staying in the Playa Hermosa are is to go on a Nature and Wildlife Tour. The jungle is packed with hundreds of interesting animals which you can watch in their natural environment. These excursions will take you to exciting places such as Rincon de la Vieja National Park and Tenorio Rainforest Nature Preserve. While on these tours you can indulge in floating down a river, admire a smoking volcano and look at interesting geologic formations. Other options include soaking in a mineral rich volcanic mud bath or just relaxing in one of the many natural geothermal hot springs that dot the tropical landscape. One of the more popular things to do in Guanacaste for families who are staying in the Liberia area is to take a stunning Nature and Wildlife Tour. There are a wide variety of family excursions that will have you traveling to places such as Arenal Volcano, Rincon de la Vieja National Park, Palo Verde National Park and families will be delighted with Diamante Eco Adventure Park. Other excursions will have you viewing magnificent waterfalls like La Perla, Llanos de Cortes and La Vieja as well as the hanging bridge at La Fortuna. On these tours you can except to see howler monkeys, sloths, spider monkeys and hundreds of species of animals playing their natural surroundings. 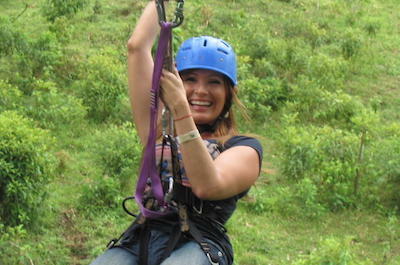 Added bonuses on some tours include a zipline ride, a horseback ride and a soothing mud bath. A perfect thing to do in Guanacaste for underwater adventure seekers who are staying in the Playa Hermosa area is to plan on going on a Scuba Diving Tour. 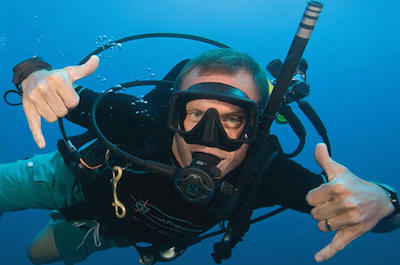 There is a wide variety of dives available for PADI certified divers who want to explore this exciting region of the Pacific Ocean. There are hundreds of species of tropical marine life that lives in the Gulf Papagayo that is worthy to scratch off of any scuba divers wish list of dive sites. You can try a long-range dive, a night dive or you can even take a two-tank dive that will have you viewing dolphins, manta rays and seahorses. These excursions are family-friendly and remember the view of the natural landscape is great during your boat ride. 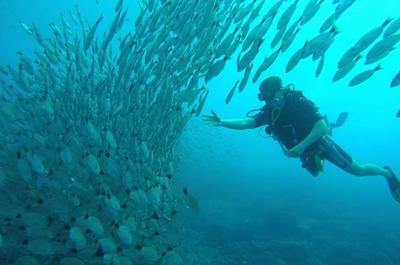 If you are in the Playa Flamingo area and want to experience one of the most interesting things to do in Guanacaste then you should a Scuba Diving Tour. Whether you are a certified diver or not there is an excursion that is perfect for you that will allow you to explore the underwater world of the Pacific Ocean. Beginners are instructed in a pool by certified scuba diver who will then be by your side as you dive to depths of 36-feet. PADI certified scuba divers will be thrilled with the underwater adventure of diving around the Las Catalinas Islands where you can expect to see manta rays, dolphins and hundreds of colorful tropical fish as well as stellar geologic formations. 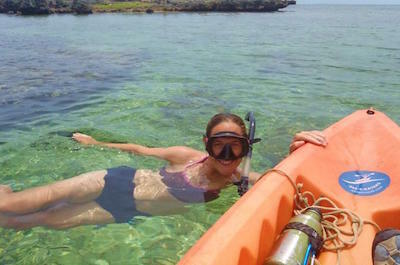 Snorkeling Tours are one of the more popular things to do in Guanacaste for travelers who want to explore the underwater world when you are staying in the Playa Flamingo area. You will be delighted with the choice of places you can explore which include Isla Plata, Playa Tamarindo, Playa Cochal, Playa Minas, Playa Danta as well as the Pacific Ocean areas along the Flamingo Bay and Brasilito coastline. While on one of these excursions you will be surprised by the colorful marine life and the interesting geologic formations that exist in the warn waters. For full adventure seekers you can add-on an ATV ride through the jungle or go kayaking on the calm waters. 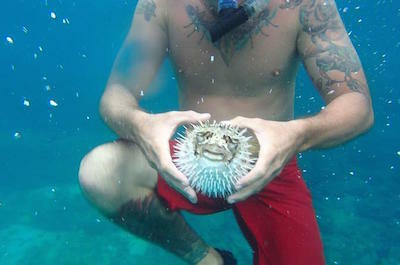 When you are staying in the Playa Hermosa area and want to experience the interesting underwater world of the Pacific Ocean, then an ideal thing to do in Guanacaste is to try a Snorkeling Tour. These excursions are perfect for all types of swimmers from novice to expert as you guide explains all of the wonderful tropical fish and geologic formations that make this area of the Pacific Ocean an underwater playground. You will be pleased with visiting stellar beaches like Playa Conchal and Playa Mina where you will see plenty of marine life swimming in their natural habitat. 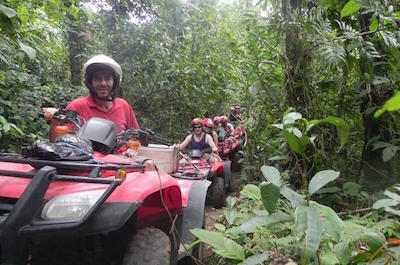 Added bonuses on some tours include a thrilling ATV ride through the jungle, a sunset cruise or you can go kayaking. 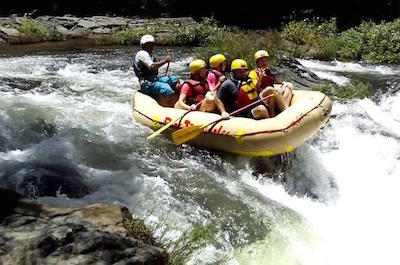 One of the most adrenaline filled things to do in Guanacaste from Playa Hermosa for families and all types of adventure seekers is to go on a White Water Rafting Tour. These excursions are fabulous for everyone from novices to experts who have experienced riding the rapids before. You will be thrilled with paddling through class III and IV white water rapids as your expert guide takes you through the numerous chutes and eddies along rivers such as the Savegre River, the Naranjo River, the Black River and the Tenorio River. Added bonuses on most of these tours include lunch and the magnificent scenery of places such as Tenorio Volcano as well as Rincon de la Vieaja Volcano and you can even add-on options like horseback riding or a zipline adventure. When you are ready for a thrilling on a riding the rapids then an ideal thing to do in Guanacaste when you are staying in Playa Flamingo is to take a White Water Rafting Tour. Excursions are great for all types of paddlers from novice to expert and you expert river guide will have you paddling in no time like a professional. You will travel down the Tenorio River and attack class III and IV rapids as your guide steers you out of trouble. 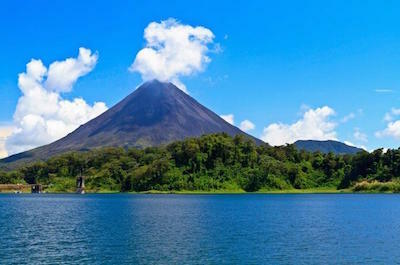 An added bonus on these tours is a complimentary lunch and the surrounding scenery of Tenorio Volcano which is a spectacular place to view the wildlife, fauna as well as flora of this jungle paradise. 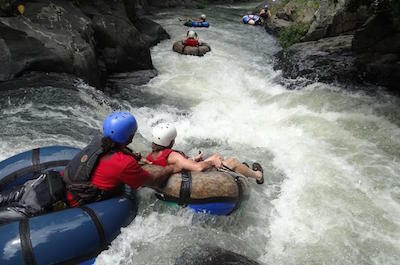 If you are staying in Liberia and are wanting to experience a unique adrenaline filled adventure then the perfect thing to do in Guanacaste is to try a White Water Rafting Tour. 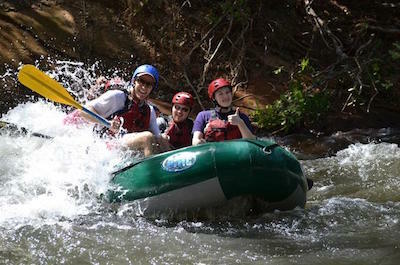 These types of excursion are great for families and couples to bond with each other as your expert guide keeps your raft out of trouble on through the class III and IV rapids you will paddle. No matter whether you are a novice or expert river runner you will be thoroughly pleased with the journey down rivers such as the Tenorio River. As you paddle you can plan on getting wet and soaking in the natural beauty of the Tenorio Volcano area which is packed with lush tropical forests as well as hundreds of species of animals. 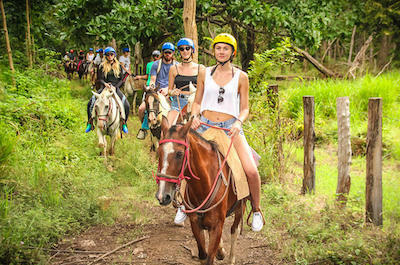 One of the most popular things to do in Guanacaste from Playa Hermosa for families is to take the Borinquen Combo Horseback Riding and Canopy Tour. Your 9-hour exploration begins with complimentary pick-up service from your Playa Hermosa hotel where you will be transported towards Rincon de la Vieja National Park. 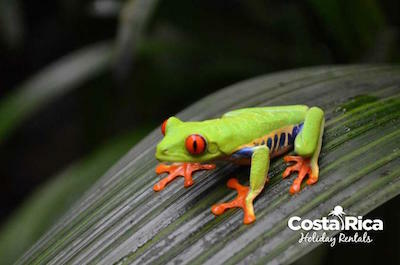 While you drive you will listen to interesting commentary about the Costa Rican eco-system from you expert guide. Your first activity will be a pleasant horseback ride that will take you up the mountainside of Rincon de la Vieja volcano where you will be pleased with the breathtaking views. 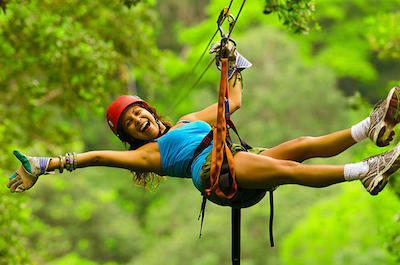 From here you will travel to a thrilling zipline course that consists of 13 platforms and 10 cable systems. 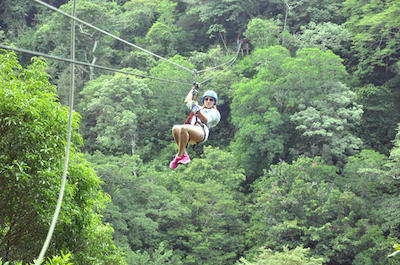 Once in your harness you will glide through the air over a canyon that is located in front of Borinquen Waterfall. 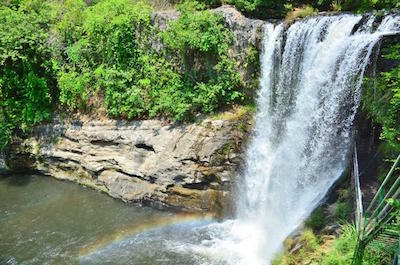 As you soar through the air you will have a great vantage point of the waterfall as well as be able to watch hundreds of animals in their natural environment. When your heart rate drops back to normal you will indulge in a complimentary Costa Rican style lunch before setting out for your last adventure of the day which is a relaxing soak and mud bath in one of the many geothermal pools that are present in the area. Your day concludes with drop-off service back at your selected Playa Hermosa hotel. The Canopy, Water Slide, Hot Spring Mud Bath and Horseback Riding Full Day Tour from Playa Hermosa-Coco Beach is one of the best family-friendly things to do in Guanacaste from Playa Hermosa. Your 7-hour adventure begins with complimentary pick-up service from your Guanacaste hotel where you will meet your expert guide who will inform you throughout day with important facts about the eco-system of Costa Rica. Your first stop will be an adrenaline filled zipline course with 12 platforms that have soaring above and through the jungle canopy as you watch hundreds of species of wildlife playing in their natural environment. From here you will be thrilled with gliding down a 1,200-foot waterslide that takes you weaving effortlessly through the jungle at high-speeds. You will take a break and enjoy a free Costa Rican lunch before setting out on a leisurely horseback ride through the countryside until you reach a series of geothermal hot springs. Here you will be able to unwind in the mineral rich waters while soaking your body and you can unwind with a soothing a mud bath. Your journey concludes with complimentary drop-off service at your selected Guanacaste hotel.